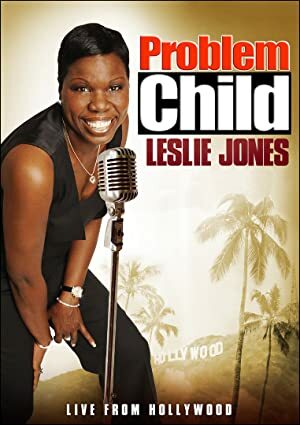 Problem Child: Leslie Jones (2010) – What's New on Netflix Canada Today! Comedienne Leslie Jones (aka Big Les) showcases her raunchy and hysterically funny stand-up in her first-ever comedy DVD. Taped in front of a live audience in Hollywood, CA, Leslie is funny, shocking and irreverent in her hilarious debut. Irreverent comedian Leslie Jones — aka “Big Les” — leaves audiences howling with laughter as she performs her raunchy style of stand-up. Comedienne Leslie Jones (aka Big Les) showcases her raunchy and hysterically funny stand-up in her first-ever comedy DVD. Taped in front of a live audience in Hollywood, CA, Leslie is funny, shocking and irreverent in her hilarious debut.